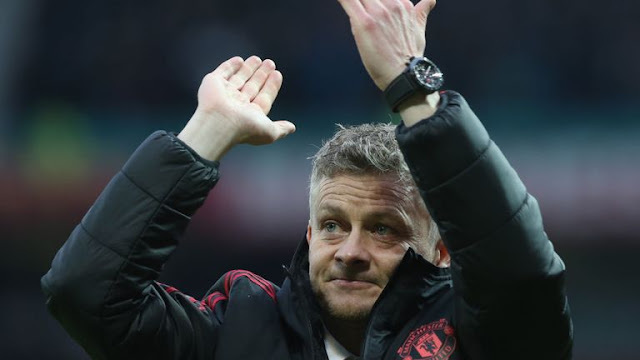 Manchester United under club Legend Ole Gunnar Solskjaer, are undefeated in five games but are yet to face a proper test, which the Caretaker Boss acknowledged will come in their next fixture against Tottenham Hotspur at Wembley. Cardiff, Huddersfield, Bournemouth, Newcastle and Reading have all lost your the rejuvenated Manchester United, but facing Tottenham Hotspur will be their first top six opposition. "We are looking forward to that one because that'll give me more of a reference on where we are against the top boys. "We are not happy talking about fourth, fifth or sixth. In a year or two the club needs to move on and move up the table." The Norwegian also rubbished claims that he has had a sugar coated start to his Manchester United Managerial position. "You go to Cardiff in the first game - it's never easy. And then at home you're expected to beat Bournemouth and Huddersfield. "They're never easy games. We've lost points before [in those games], there's no easy games in the Premier League. Newcastle away - I thought that was a professional performance. "And today, it's never easy when you make nine changes, but we still won all of them."